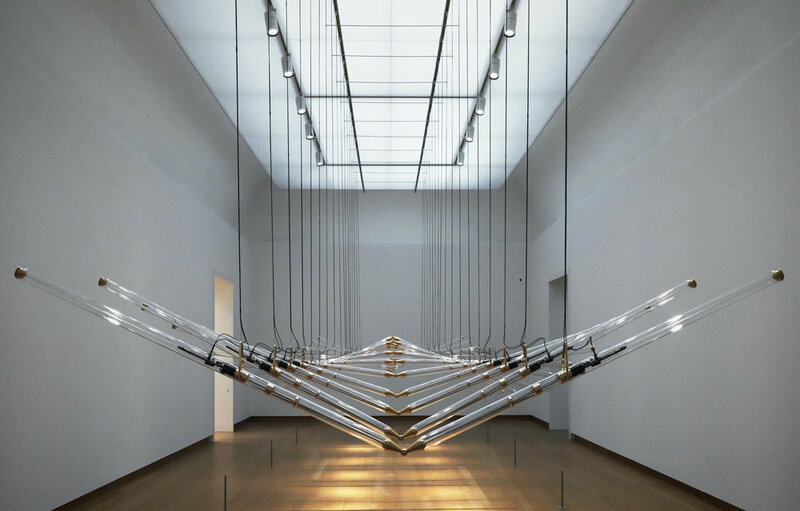 The movement in this installation is like the pulse that occurs in all living nature. 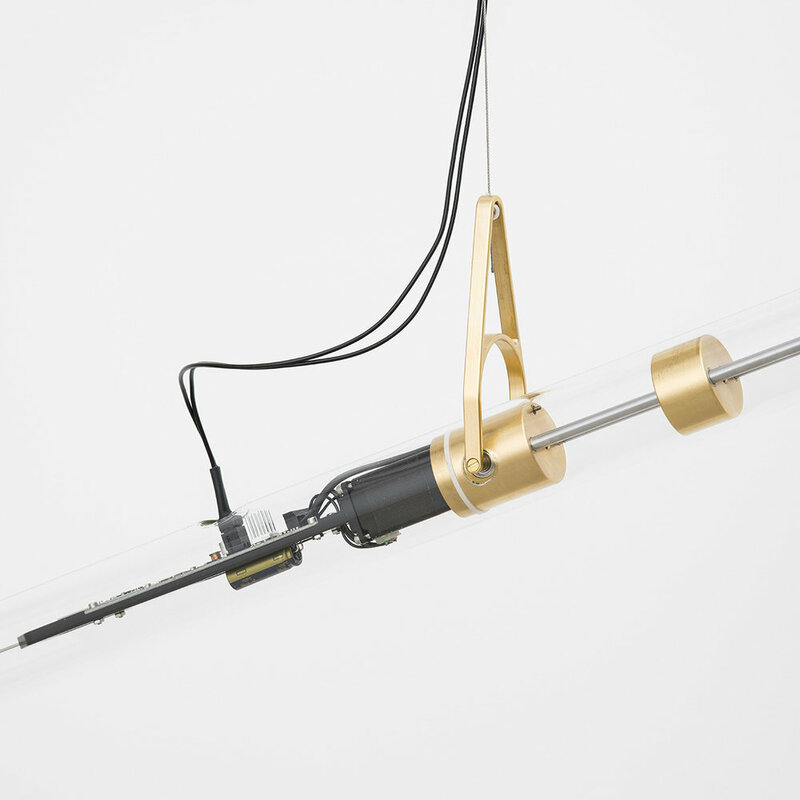 Each element is triggered by a weight that slides back and forth in the tube. Because the movement of the collection of tubes is synchronized by a computer, an impression is given of watching a bird flying in slow motion. In contrast to many of our other works, this one does not incorporate a light source, but involves the reflection of external light sources on the installation. With this work the depict our fascination – like that of many others – for flying.